Sacramento Update – Johnny Cash Tribute + Prison Reform! If you’ve been following updates this week, you know that I’m in Sacramento for Wide Open Walls. 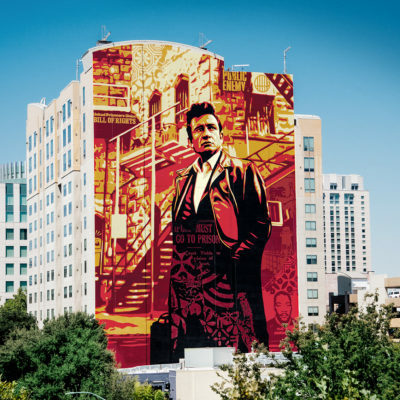 The crew and I just completed my 15-story Johnny Cash at Folsom Prison mural, which is my largest in the state of California and my most technically ambitious mural ever. The art is based on a photo by Jim Marshall which I used originally as part of my American Civics series. I’m grateful to be able to create this image on such a large scale as a tribute for the 50th anniversary of Cash’s Live at Folsom Prison album, and I hope that this art will ignite a conversation around the need for incarceration reform. 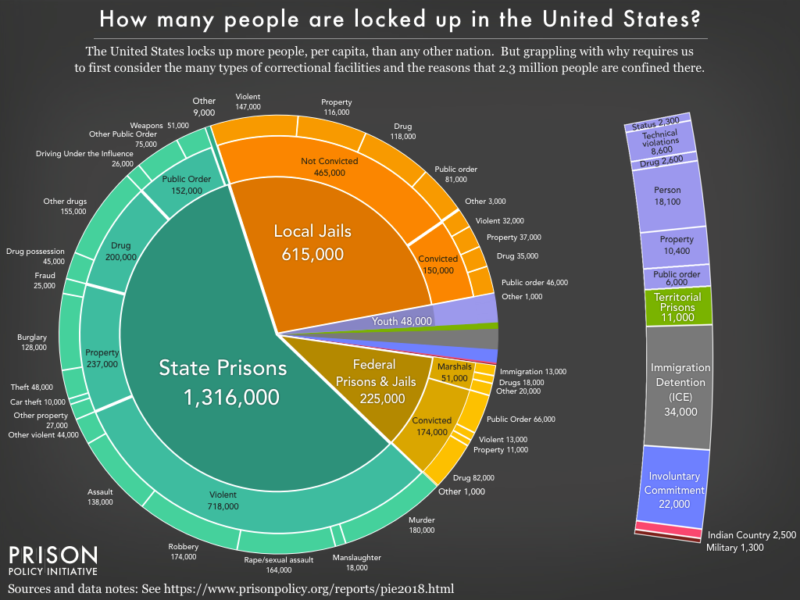 According to a recent in-depth study by the Prison Policy Initiative, America has the highest incarceration rate in the world with a shocking 2.3 million people currently imprisoned. On top of that, our prisons are disproportionately filled with poor people of color, in fact, African Americans are 13% of the U.S. population, yet 40% of the prison population in this country. More African American men are under correctional control today than there were slaves in the 1850s according to a Huffington Post piece by writer and civil rights advocate Michelle Alexander. A portion of proceeds from the Johnny Cash print I made, currently available through Toy Room Gallery, will benefit #Cut50. Thank you to Wide Open Walls, Branded Arts, and my crew of assistants, Dan Flores, Nic Bowers, Rob Zagula, and Luka Densmore for the 11-hour days we worked this week in the intense heat to get this mural finished! Thank you Jon Furlong for the photo! Please take a moment to read this more in-depth piece highlighting the abhorrent prison statistics of our country. I hope that this information educates you to wake up and take action. Thanks for caring! The U.S. prison system has become a booming multi-billion dollar industry. While the U.S. government has cut billions of dollars from public housing and psychiatric care, they have diverted that money into building prisons. According to a recent in-depth study by the Policy Initiative, America has the highest incarceration rate in the world with a shocking 2.3 million people currently imprisoned. No other country is even close to our per capita imprisonment rate; it is five times the OECD (Organization for Economic Cooperation and Development) average. The U.S. accounts for 4.4% of the global population, but a stunning 22% of the global prison population. To make matters worse, more than 7 million people are currently under “correctional control” (parole & probation). Draconian drug laws, rampant institutional racism, and poverty have been significant driving factors in the skyrocketing growth of incarceration. Drug offenses account for 49% of the federal prison population and 20% of the overall prison population. African Americans are 13% of the U.S. population yet 40% of the prison population. More African American men are under correctional control today than there were slaves in the 1850s. As horrifying as institutional racism is, class has now become “a more potent predictor of incarceration than race.” According to a new study by the Brookings Institution, 80% of people imprisoned in the U.S. had no income the year leading up to their incarceration. Over zealous incarceration and for-profit prisons have become a predatory profiteering racket that costs taxpayers tens of billions of dollars annually while also dramatically increasing the likelihood of repeat offenders and putting overall society at greater risk.